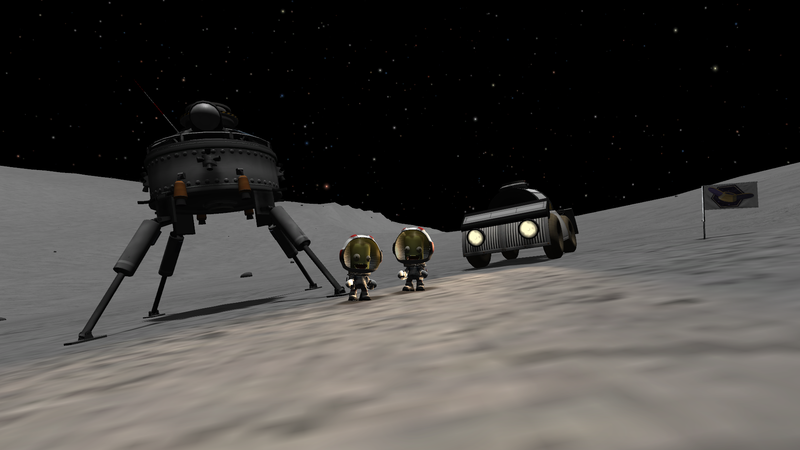 This rover enables two Kerbals to explore the munar together with a wide range of scientific experiments. 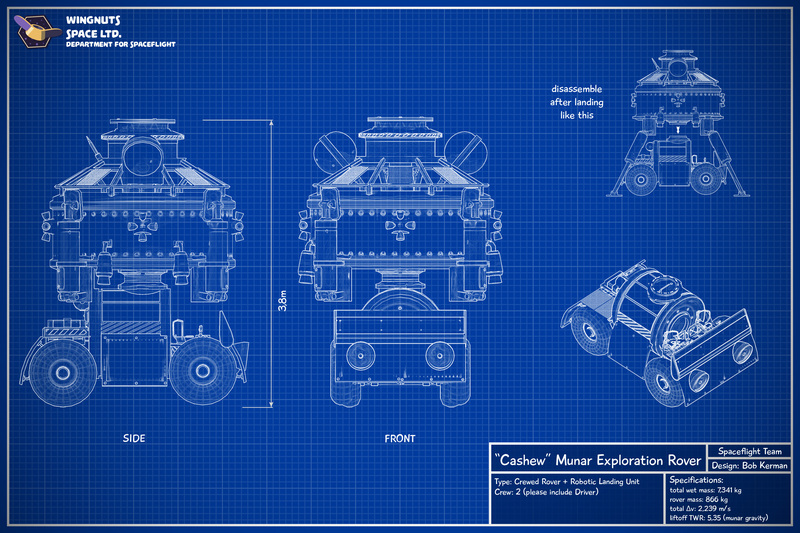 Comes with detachable robot lander / ascent unit. 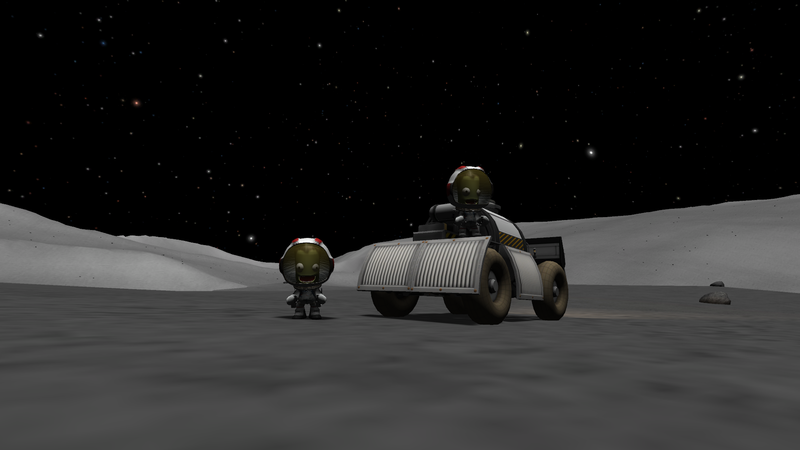 A stock rocket called Cashew Munar Exploration Rover. Built with 59 of the finest parts, its root part is probeCoreOcto.